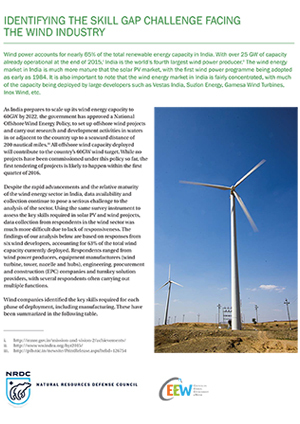 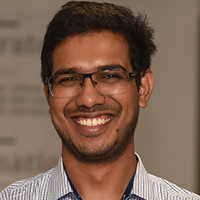 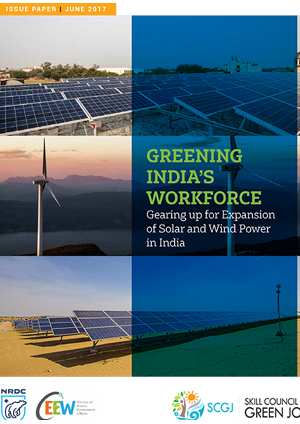 Since 2014, CEEW and the Natural Resources Defense Council (NRDC) have been using primary data surveys to collect accurate, market-based information on jobs created, workforce employed, and the skills required to achieve India’s renewable energy goals. 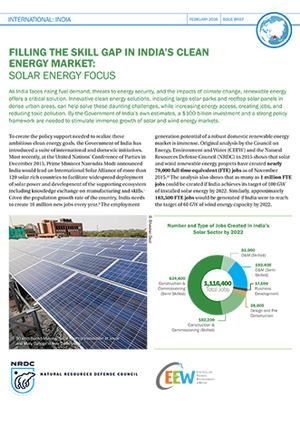 Jobs created from renewable energy offer a significant opportunity to meet the country’s objectives on employment generation, while advancing our domestic energy priorities. 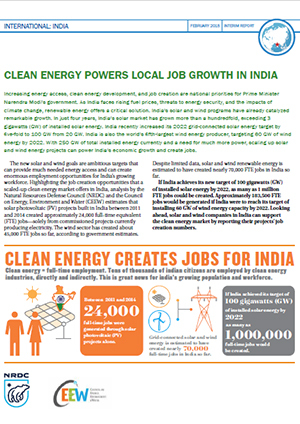 Our research on renewable energy jobs finds that more than 1 million total employment opportunities can be created in achieving India’s ambitious clean energy goals to install 160 gigawatts of renewable power by 2022.